The book contains the work of 31 photographers as well as text relating to each project. The group had initially mentioned that they saw their exhibition representing ‘not only the individual, but the course as a whole’, with this in mind the covers of the book create a continuous pattern when displayed next to each other. 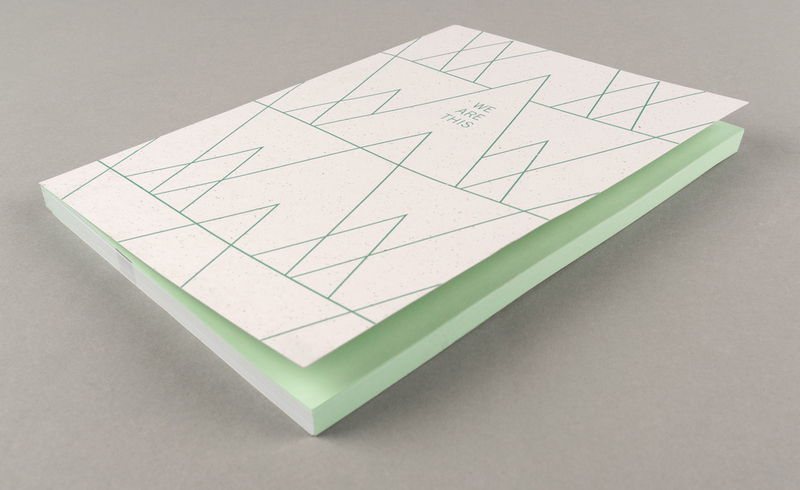 The book is also made up of alternate white and green pages, creating a coloured edge to the book. Stanley James Press designed and managed the production of this book.